In case you haven't guessed it already, I'm now officially a Leica-man or, rather, a man with a Leica. Leica-man gives the impression that I'm besotted whereas beguiled is probably nearer the mark. Whether it lasts or not is impossible to say at this stage. I already know I have too many cameras as it is and I know I've gone on in the past about how I'm an SLR man and not a rangefinder person. But if you're thinking of chastising me then you're too late. The stable door is flapping in the wind and the horse's hind quarters can just be seen disappearing over yonder hill. The Leica thing has been bugging me for ages because I love Leicas. At least, I love the whole notion of Leica cameras and lenses. I love the history, I drool over the engineering and I think they sometimes look sublime in the right light. The problem for me has always been getting to grips with rangefinder photography. Let's face it, a window - effectively what you get with a Leica - is something you would normally look out of to see what the weather is like. An SLR Viewfinder is what you look through when you want to see precisely (all bar a millimetre or two around the edges and, even then, there are a few 100% viewfinders out there) what you're going to get on your negative. I always suspected that tackling an M would be more of a learning tsunami rather than just a culture shock. On this occasion, it gives me no satisfaction to be proved correct. I've just started using the cameras but right now I'd feel more comfortable strapped to an F16 afterburner as it climbed to the stratosphere than trying to frame a scene using a rangefinder. I'll go into this in more detail in later entries but there are some issues I'm struggling with but trying to work through. 1960 M2 with a 50mm f2 Summicron from the same year and MC meter. So what did I buy and why? Well, first of all, I've always toyed with "investing" in a Leica - the itch that wouldn't go away. I suppose I should say "reinvesting". I did own an M2 and M3, 35mm Summaron, 50mm Elmar and 90mm Elmar in my early 20s but I didn't use them much and could remember virtually nothing about the experience other than that it left me frustrated and I went back to SLRs after about a year. I decided to bite the bullet this time because an outfit became available locally and for a very good price. This set-up (it's all there in the pic at the top of the post, an excellent example of why it's a good idea to use a plain background) comprised an M2, MDA and external viewfinder, 35mm f3.5 Summaron, 50mm Summicron, 90mm Elmar, MC meter and a few Leitz filters. The M2 is a year older than me. No, I didn't know they made M2s well into the 1970s either. Fancy that! OK, it dates back to 1960. I always told myself that if I did get an M I'd try to get one from my birth year of 1961. Well, this one was made in the second half of 1960 and might well have stood gathering dust on a dealer's shelf for months before being sold so there's every chance it "came of age" in 1961. At least, that's what I like to tell myself. The MDA is from 1975 (an earlier and similar MD was made from 1965) and the three lenses from the late 1950s. Summaron on the front with a light yellow filter. The gear was described as being in perfect condition and it was, more or less, externally. Pity it wasn't the same story beneath the skin. Suffice to say that both bodies have slow speed issues, the Summaron is a little hazy, the Summicron infected with some light fungus and the Elmar suffers from both ailments. After some adjustment price-wise I decided to take a chance - and here I am. I had a quick bout of buyer's remorse but then realised that I'd get my money back if I resold it as is or after having everything serviced so I relaxed into the idea. I'm going to document my Leica experience as I go along. It might be of interest to anyone thinking of moving to an M body from an SLR or DSLR. So if you want to know how I'm getting on with Wetzlar's finest then you'll need to check back from time-to-time. I'll tell it how it is, warts and all. Once I've given the rangefinders a fair crack of the whip I'll decide whether to keep the outfit or sell it on. The "Leica Diaries" (Why the plural? No reason other than it sounds better than the singular "diary") should be an interesting - for me at least - voyage of discovery that will hopefully scratch that damned itch once and for all whatever the outcome. Will I be able to overcome my rangefinder phobia and reach the same level of comfort I enjoy with my Olympus OM2? Just now, the Leicas and I are all luvved up and doing our best to overlook the other's faults but will it be a lasting relationship or a short-lived romance doomed to end in failure and with a bitter after taste? Who knows? Am I taking the whole Leica thing just a tad too seriously? Absolutely! Ah...I knew you'd see the light in the end! I'm sure you won't regret the exercise even if you don't end up keeping the Leica as your "main" camera instead of the Olympus. Most of my photo-heroes are Leica shooters, and I longed, oh, how I longed, to be able to see the world through the viewfinder of a Leica as they did. I struggled with this for more than 40 years. My first Leica was a IIIc with an f2 Summitar that I bought for $40 at the Bird Road Drive-In flea market in Miami in 1969. 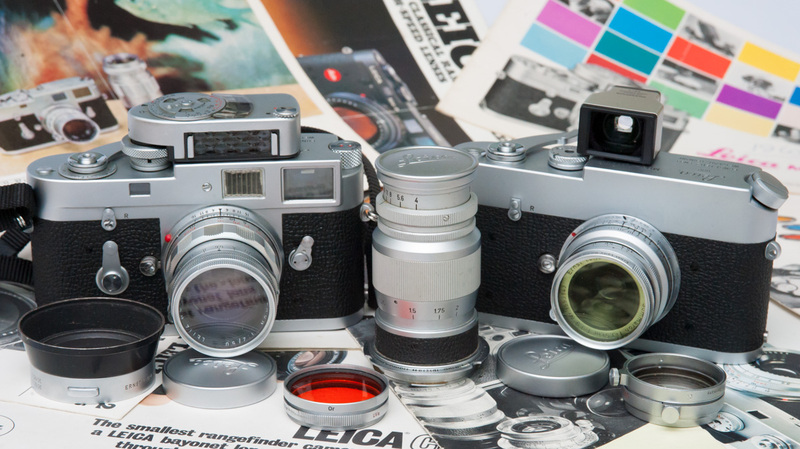 I owned many Leicas over the intervening years, but always wound up selling them. 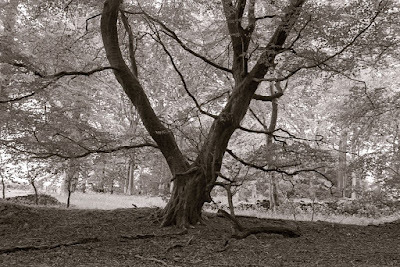 As hard as I tried, and I did try very hard, I simply could not attain real proficiency with rangefinder cameras. I made a few good pictures with them, but ultimately, they just did not work for me. 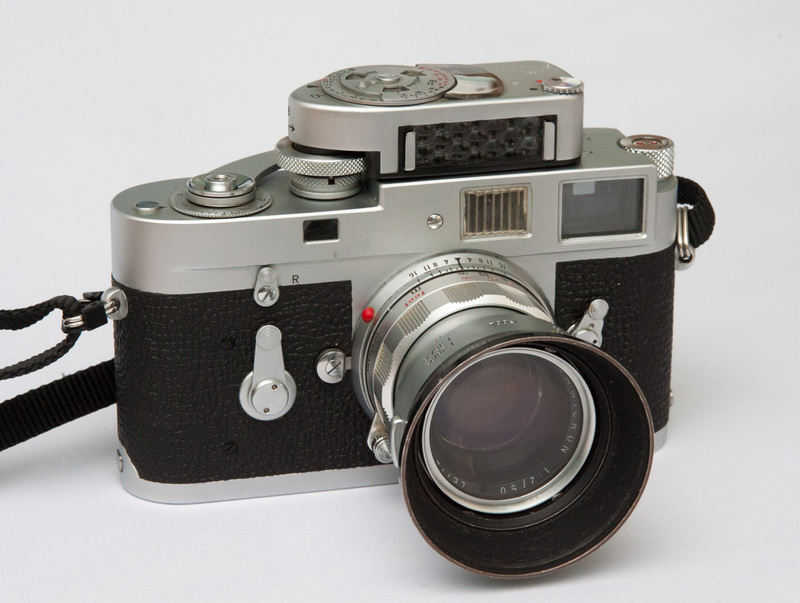 I sadly sold my last Leica, an M3, in 2010. Leicas (and rangefinders in general) are wonderful, but they're not for everyone. In my heart I’m a globe-trotting, black&white film, Leica-shooting photojournalist in the mold of Elliott Erwitt, Henri Cartier-Bresson, or Josef Koudelka. But the bitter truth is that I am an autofocus, SLR, zoom lens, color photographer. That’s what I am, and I just have to deal with it. After that very public confession, Alcoholics Anonymous would be a breeze! :). I have a horrible feeling I'll end up the same way as you - but not before I've given it a right good go as well. I can relate to a lot of what you've said about rangefinders. For the longest time I was all about SLR's and while I really loved the image quality from Leica images (there's something about the contrast and crispness) I would be turned off by the fanboy following that Leica seems to attract and I was adamant that I didn't want to be any part of it. My first rangefinder was an Olympus XA and then I got a Yashica Electro. At first I just couldn't get used it but because I really enjoy seeing the viewfinder image in an SLR come in and out of focus but then one day I was out with the Electro and suddenly the camera just got out of the way. I was in a situation where the quiet leaf shutter was perfect whereas an SLR mirror slap would have been the worse thing in that situation. After that I decided that I would seriously give rangefinders a chance and an M2 came along at the right time and price. The Summicron 50/2 that came with it was not to my taste with b&w but it really shone with colour so I kept it. I've since added a Voightlander Nokton 35/1.2 and 50/1.5 and I'm stopping there. I think rangefinders' viewfinder's don't work so well once you go past 50mm - my personal opinion. At least you're giving it a chance, you can't say fairer than that. Well it's not many people who can assert they will get their money back after a full CLA, so you must have got them very cheap. And I can't imagine why you'd want the MDa, but the M2 is about the best compromise in the 'classic' category, although an M-4P or M6 would have made the world seem so much simpler and easier. But from somebody who has far too many Leica film and digital cameras, and even more lenses, good luck, if the bug does bite you are a gonner. The MDA wouldn't have been my first choice by any means but it came as part of the deal. 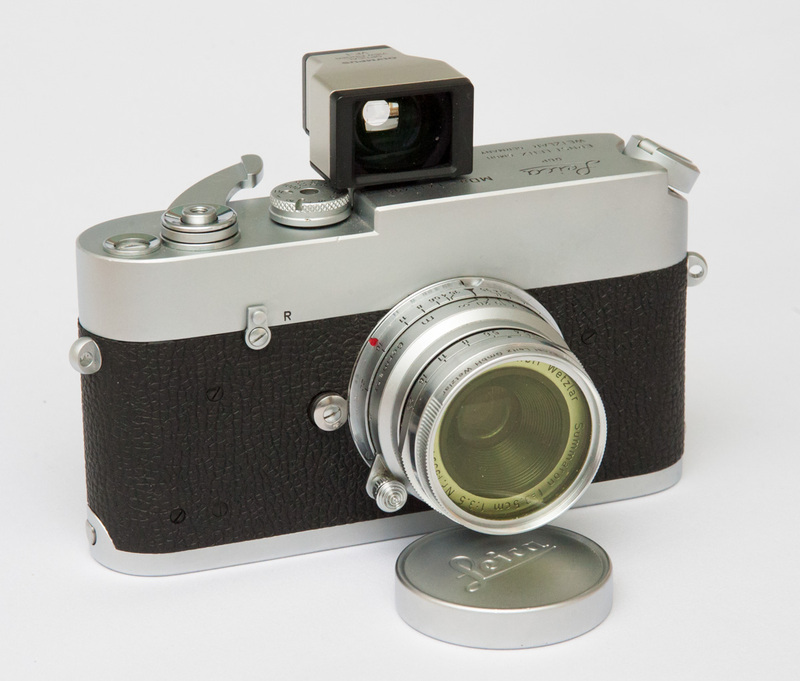 However, it would be a good body for something like the Voigtlander 25mm Snapshot Skopar and finder. Can't really see me having any other use for it. My favourite really is the TLR or top-down finder. But I got a Fuji GF670 some years ago, and after a learning period I've come to really appreciate it. It doesn't give you the depth of field or direct sense of the final image, but I find it easier to focus in lower light, and the camera is much smaller and lighter, and far more quiet than my Pentax 67 (not a tremendously high bar to clear, I grant you that). I wouldn't use it as my only camera, but as a travel companion it is difficult to beat. Bruce - keep taking the tablets . . everything will be fine . . .
A Son of Oskar! Congratulations. We must treat you with even more respect. Will you be embracing the whole HCB philosophy and getting someone else to process and print for you? I really liked the blind camera although I think you're wrong about a world's first. WHFT's mousetraps had no viewfinder and although I don't know, I suspect that Joseph Nicéphore Niépce (I had to look up the spelling) had no viewfinder. So the really interesting question is finding the first viewfinder. Another use for a blind camera. First a little story. Once upon a time, I got lumbered with taking the snaps at the company's Xmas bashes and I used a compact auto-focus film camera. People posturing and grinning for the camera irritated me and in dark corners, when they saw the lens, they'd stop snogging the wrong person. One year, I stopped looking through the viewfinder and shot, literally, from the hip. The pictures were very much better – more interesting and to my surprise, much better composed. So, for me it was a useful exercise in both technique and humility. Might be worth a blog or two? Blind Camera Chronicles? It's a long time since I did Latin – Camera Praestricta anybody? I also prefer medium format for the larger negative and I can afford the film. 35mm also suffers from 36 exposure rolls which is way too many for me. MF at 12-16 shots per roll is about right for a day out. I can't bring myself to develop a half an exposed roll either. I know weird! Like you however I have had an appreciation of Leicas though have never used them so only for their looks and reputation. As of today however I am now trying 35mm RFs for the first time with a Yashica Electro 35 GTN. £32 including postage which is little enough if I don't like it I won't regret it. I plan to solve my 36 exposure nag by bulk loading the film. It will be interesting to compare thoughts. I was angling for a Leica M3, but came across a Contax IIA with a 50mm f/1.5 Sonnar lens, both in pristine condition and going for $395.00 plus tacks. I couldn't resist. Wonderful camera and sort of contemporary with the M3. If you enjoy shooting infrared, a rangefinder makes a lot of sense. You can leave the dark filter in place over the lens and still have full ability to focus and frame. Although my personal favorite for IR shooting is a twin lens reflex camera, for the same reason. I feel your trepidation. I've got a few years on you and always thought I wanted a Leica M. My main 35mm SLR, for the past 40 years or so has been Olympus OM (What is it about OM and Leica M ownership? Seems to be a trend.) Oh well, finally bought a modest M outfit for my retirement and now, after 4 years, I intend to sell it. For one thing, a chance visit to a second hand store netted me a pristine OM-4T body for $30, I already have all the Zuiko's I want and TTL viewing is just what I like. I do have some regrets that I could not 'bond' with the Leica but there you are. If I feel any more RF urges I can always pick up my 35RC, a really nice camera to use and with a fixed lens, no wavering about 'would this look better with a different angle of view. All that said, no one can take the journey for you and as you say, net expenditures if you resell will be minimal. I'm another confirmed SLR habitué who struggled for a long time with "why rangefinders?" When you have the 100% field of view for any lens, depth of field preview, the ability to use any focal length, why use something where you're just looking through a window? I've found it easy to resist the Leica thing purely on a money basis so get my rangefinder jollies with a Zorki 4 and Jupiter-8, and while I do find the composition process frustrating and squinty, the key to why I still use it is just how the images look. There is a quality to how lenses like short Sonnar-types and non-retrofocus wides "draw"; it's not just about bokeh per se, but more about that almost 3D drawing of depth of field and defocus at middling apertures. I have very nice fast 50s for the SLRs but they still don't make a picture pop like the Jupiter. Best way I can describe is like the medium format/large format look, but on 35mm. I was born in the 60's as well, although a few years later than you. I grew up with my father and uncle talking about camera gear all the time, and spent quite a lot of time in the darkroom and all over the place shooting Tri-X. My uncle was a photo journalist, talking about Leica's all the time... but he never got one. It was probably a way to expencive tool back in the days. In 74' I got my first camera, and since that day I have been shooting my part of Kodak's and Ilford's production. On my Minolta Hi-matic G in the start, then moved on to Nikon and have more or less stayed with them ever since for the 35mm format. The itch, that never goes away though, has been riding me like a plague since the mid 70's, and five years ago I finally did something about it. Today I own an M3 and an M6. Never was to fond of them in the beginning, but now I carry them everywhere... or at least one of them at a time. Still can't live without my Nikon FM2's and my F3's but the Leica's is something completely different. Small, silent, stealthy things... but at times on steroides. A strange note is that I almost never shot a picture of people until I got my Leica's. They are great looking cameras, iconic in their own way, but I don't think of them as that anymore. Now they are more like my daily cameras, which especially the M6 really cries out. It looks like shite after five years of heavy use, but I like them more each day. So, I will definately not call myself a leicaman, but I have kind of grown into being a Leica shooter, even though I never thought they would ever become my first choice for shooting 35mm. Good story, Roy. I'll probably end up like you, using the Leica alongside SLRs. Can't see me using the rangefinder exclusively. My first visit to your blog and I certainly look forward to your reports on the leica I too harboured an affection for said gem but I've managed to abstain as yet. I compensate myself using my blad which i never tire of. I know what you mean about the 'Blad. It's the 120 version of the Leica, isn't it. Much as I love my Rollei SL66E, I often wish I'd gone for a Hasselbad for their handholdability. It's interesting - I actually just bought a Leica MDa as a deliberate purchase. Less than £200 for a fully working Leica didn't seem a bad deal for me. On the note of the photojournalist ideal... a lot of street photographers zone focus anyway - they never actually use the rangefinder. Throwing in $30-$60 for a viewfinder (Russian/Canon, not Leitz!) gives a viewfinder camera much like the Rollei 35, only... more Leica. Oh, boy, can't wait to read the rest of this series. I am exactly the same age as you and not long ago scratched an ancient itch as well. I, however, purchased an M4-P because that is the camera I lusted after while going to school for journalism in 1984. I always harbored some lingering prejudices against rangefinders. Harder to focus, can't see exactly what you're getting, etc. However, I have discovered that the rangefinder causes me to be much more deliberate in my picture taking. Plus, I have to say I am in love with the solid feel and sound of the Leica.